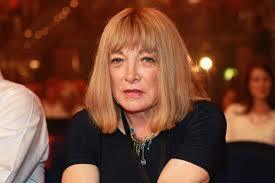 Kelly Maloney, the boxing promoter formerly known as Frank, has recently undergone gender reassignment. What do readers think? Good on him or is it a load of old Maloney so to speak, an abomination, to genetically transform the way nature created him? I’ve not seen much of him in the current series of Celebrity Big Brother, but from what I hear he is really struggling to come to terms with this huge transgender transformation. This entry was posted in Health and well being, Legal, Men and Relationships and tagged gender reassignment, kelly maloney, transgender. Bookmark the permalink.